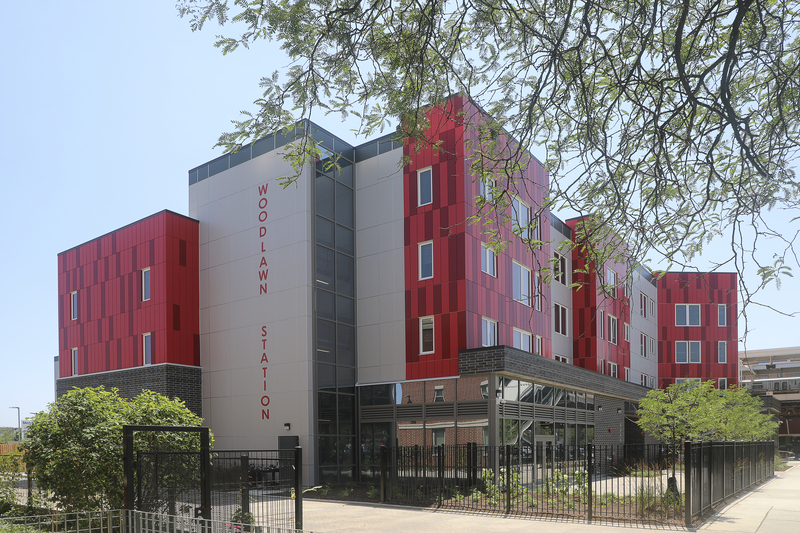 Skender, serving as base building and interior construction manager, recently completed Woodlawn Station, a transit-oriented affordable housing development in Chicago, Illinois. Located just under the Cottage Grove Green Line CTA terminus station in Chicago South Side neighborhood Woodlawn, the mixed-use development features a main building that contains 55 units and two additional nearby buildings containing 12 and 3 units respectively. 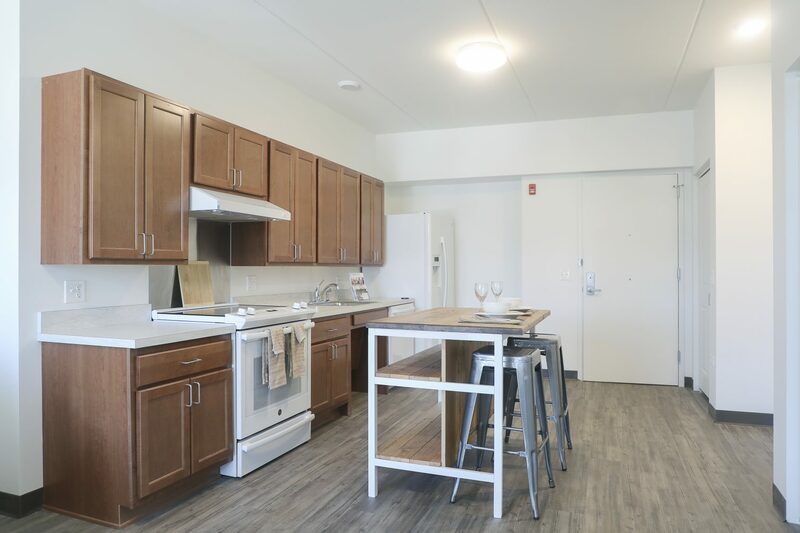 Occupation has begun in the 55-unit building and the 3- and 12-unit buildings will be completed at the end of this month. 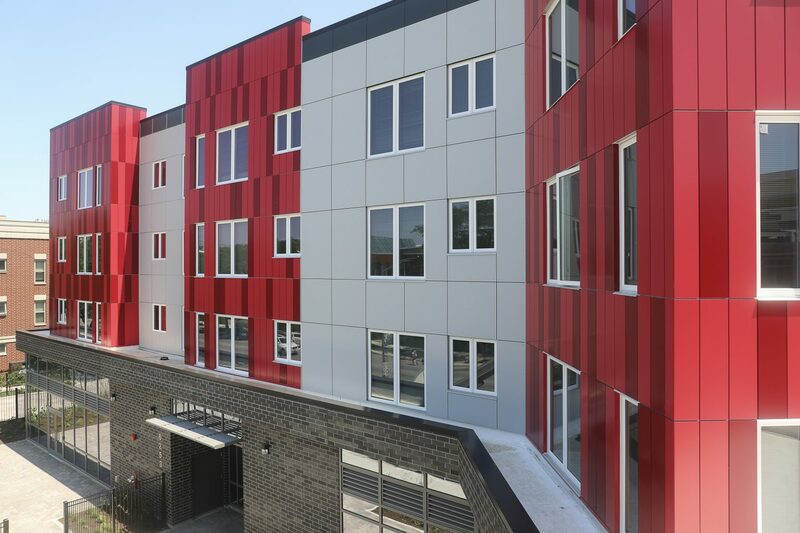 The owner, Preservation of Affordable Housing (POAH), hired Skender to complete its fifth new construction project along Cottage Grove Avenue, regenerating acres of blighted sites with affordable housing. Woodlawn Station returned a blighted sight back to use and also will provide much needed affordable housing for the neighborhood. According to POAH, its investments and partnerships are having a dramatic impact on Woodlawn—the population has grown 15 percent (the first increase in decades), new jobs are being created, the number of vacant properties has plummeted, and violent crime has fallen by 40 percent. Woodlawn Station strives to not only improve the lives of its residents, but also to support local entrepreneurs who will be moving into its ground-level retail space. These businesses will be offered lower rents and generous tenant improvement packages. One such business is locally renowned Ain’t She Sweet Café, the first retail tenant announced for the building. Servicing a mixed-income community, Woodlawn Station will provide replacement housing for 35 former Grove Parc Plaza residents, another 20 units for middle-income residents and 15 units of market rate housing. 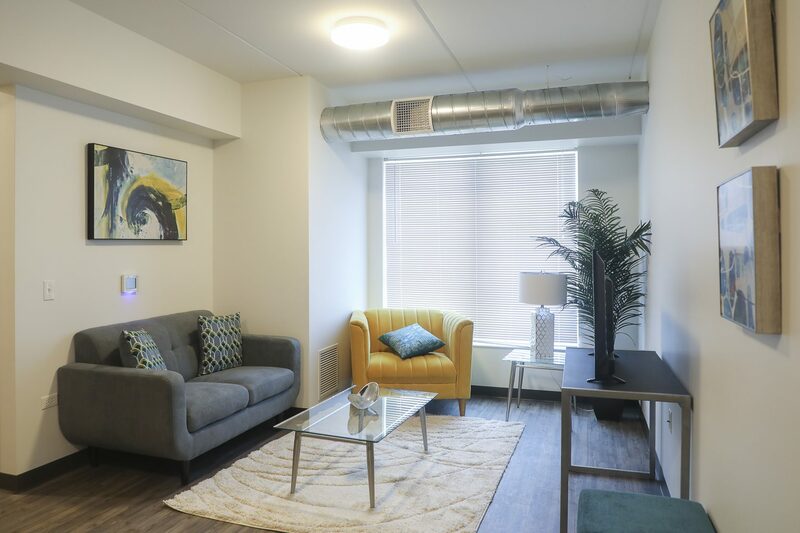 The Nia Architects-designed apartment community was funded by POAH, the Illinois Housing Development Authority (IHDA), U.S. Department of Housing and Urban Development, and other lending partners. 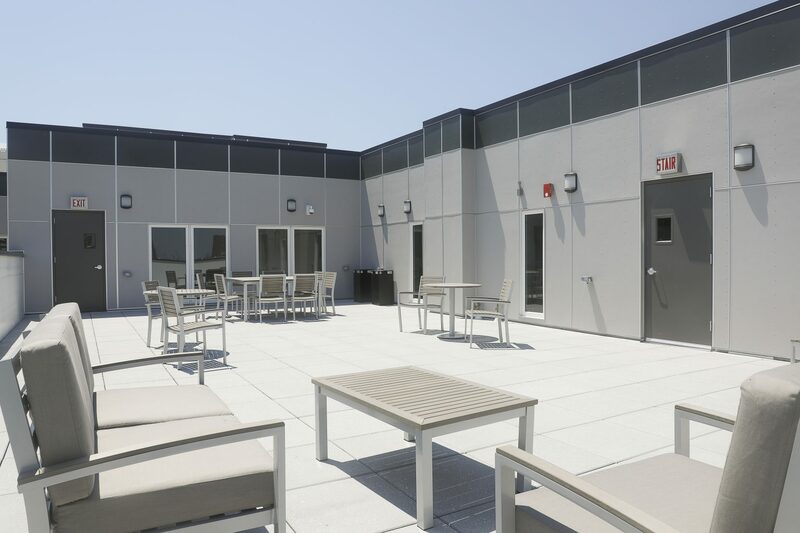 Construction took 12 months and materials included steel and precast on the 55-unit building, and concrete masonry units and wood framing on the 12- and 3-unit buildings. Skender is revolutionizing how the industry builds by unifying construction, design and advanced manufacturing to create a more efficient, streamlined process—and a single source of truth. We bring together every stage of the journey for designing and constructing commercial, healthcare and multifamily properties. Our Lean, integrated and tech-infused business model focuses on optimizing and innovating, ensuring our clients and project partners walk away feeling energized about the design and construction process. With offices in Chicago and San Francisco, we offer expertise to local and global brands. For more information on Skender, visit www.skender.com.